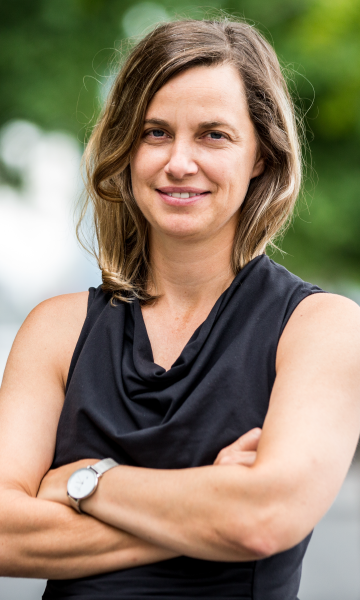 We are thrilled to share that Kate Orff, designer of Town Branch Commons, has been named a 2017 MacArthur Fellow. Chosen in part for her work in Lexington, Kate now stands beside extraordinary scientists, activists, writers, and historians in this year’s class of Fellows. This significant recognition, commonly known as the “Genius Grant,” honors individuals who address social challenges and bring exceptional innovation and experimentation to inspire diverse people and places. Kate is the first landscape architect in the John D. and Catherine T. MacArthur Foundation’s 36 year history to be honored with the award. Kate founded SCAPE Landscape Architecture based in New York City. SCAPE’s design revives the hidden ecological system underlying our city and honors the geographic heritage of Lexington. Town Branch Commons is an innovative linear park system comprised of a 3.2 mile biking and pedestrian greenway that will connect more than 22 miles of trails and greenways throughout the county and Town Branch Park, an inviting and unprecedented signature park for Photo by John D. & Catherine T. MacArthur Foundation Lexington. The Park will provide a crucial link between Town Branch Greenway, the Legacy Trail and Town Branch Trail, knitting together the urban core and truly bringing a piece of our iconic countryside to our city center. Town Branch Commons is poised to transform downtown with its most significant advancement in decades. As the Herald-Leader said “The challenge now is to honor her work and our community, by raising the money to faithfully make her vision a reality.” We’ve accepted the challenge.